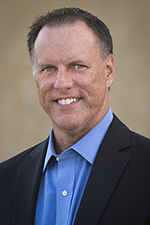 Windows Server 2012 DirectAccess Network Location Server Not Working Properly | Richard M. Hicks Consulting, Inc.
i have the same issue … i have tried applying the rule in firewall and still it is the same. Still same error coming any other solution? That’s the only solution. 🙂 As long as your NLS responds to ICMP echo requests, has a valid and trusted SSL certificate installed, and responds to HTTPS requests with a 200 OK, everything should work! Have altready tried reboot. DA Clients are generally still working. Any ideas how to troubleshoot this further please? 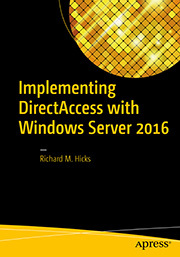 Is DirectAccess running on Windows Server 2012 or 2012 R2? Also, is it running on VMware? Was there a solution to this error, we are encountering this aswell. This check is performed by the management console, so the VIP must respond to ICMP. However, you can disable the ICMP health check in the management console by highlighting Operations Status in the navigation tree and then clicking on Disable Connectivity Check (PING) below Monitoring in the Tasks pane. Thanks Richard, I had not even noticed that option as the window had been collapsed! Hello Mr. Richard I had the same error and I am just wondering if this could affect the connectivity between the clients and the server via the WSE connector cause I can’t get any of my clients to successfully connect to the server though the client did find the server name yet never get connection and it gives me this message ” can’t get information from “my server name” .please contact your server administrator . I apologize, I don’t have any experience with configuring DirectAccess on WSE. There could very well be a conflict that I’m not aware of. Hi, new to DA – just enabled it on a 2016 Server Standard with Essentials role installed. Getting this error although I am able to ping directaccess-corpconnectivityhost and directaccess-webprobehost on the LAN. But, testing the connection in a web browser i am running into a certificate error. We have a trusted SSL cert installed for remote.domain.com, but of course that is only valid for the external server name (where as I understand it we do NOT want nls to resolve. .) We do not have a trusted cert for the internal domain.local names, although I do see a DirectAccess-RADIUS-Encrypt-server.domain.local cert in the store that seems to have been auto-created by the wizard. I suspect that the HTTPS GET part of the connectivity test is failing because there is no cert for the https connection to the internal nls name – so, since we have a trusted cert installed for all the external communication purposes, are we expected to also obtain a trusted one for this internal purpose and bind it as well to port 443 in IIS? Or to 62000? For which site? Or, can we self-issue one for this purpose (which you do not recommend)? Or is it just a matter of binding the RADIUS cert correctly?? Thanks!! It is all on the same box (single-server environment.) I no longer think it is a certificate issue, although still not totally sure. I did find in the configuration where cert is specified, and also where the NLS test URL is listed – interestingly, it was http:// not https:// (and the only two choices for test types are HTTP and PING. . .) But changing this made no difference. Neither did removing the HTTP test and putting in only a PING test – same error reported! So who knows what the configuration test is actually doing. I downloaded your NLS testing utility (THANKS!) and it gave the same results. I also tried using puTTY to open a plain old session to the url and got the 400 error message on connecting, which I have seen mentioned elsewhere. Connection closes right away. My feeling is it has to do with the Remote Web Workplace which is what opens by default if you browse to the server – possibly a conflict with that redirection? Another classic case of Microsoft’s own products not being compatible with each other (at least this time it didn’t take me long to figure out that DA had stolen the TCP ports used by the Server Essentials Connector – like when I tried out Work Folders and it clobbered DNS. . .) I noticed an “insideoutside” folder link had been added to the default site in IIS, maybe the NLS test is expecting to get that by default? But in any case I started to see more recent information (from you as well as others) that DA was being abandoned by Microsoft, so I probably won’t waste any more time pulling my hair out over this & just see if I can figure out how to deploy Always-on VPN without shelling out for an Intune or MSCCM subscription (small-ish client, not very many mobile users. . .) Thanks for all the helpful info! Looking into the “insideoutside” virtual directory, if I browse that from the links in IIS manager I get variously a certificate error or not, but always some form of 503 Forbidden if I bypass that – either .503 (do not have permission to view) or .14 (server configured to not list contents) Except one method that gives me ERR_NETWORK_ACCESS_DENIED. . .
Now I’m back to the cert issue – the only way I have been able to successfully browse to the /insideout virtual dir is to enable directory listing on it in IIS, then https://directaccess-webprobehost:62000/insideoutside and bypass the certificate warning. But of note, in the DA infrastructure configuration the certificate selected for NLS is not for this host name, it is a self-issued cert for the server name. But if I replace the url with the server name instead of direcaccess-webprobehost it is the same – works but have to go past the cert error, so no https. I would say the solution would be to get a cert for directaccess-webprobehost but then I don’t know why using the server name didn’t work, since there is a cert for that. . . Or, can we just disable SSL for this virtual directory? The client config only specifies HTTP anyway – or is that just inaccurate? Sorry to take over your blog! Thanks. . . I think you are confusing two different things here. The Network Location Server (NLS) is definitely SSL and you probably have it hosted on the DirectAccess server. If so, it is running on port 62000. It is used by clients to detect if they are inside the network or outside. It must have an SSL certificate trusted by the client. If you are using a slef-signed certificate, that certificate is pushed to all DirectAccess clients via GPO so they trust it. The web probe host is for the Network Connectivity Assistant (NCA) and is used by clients to validate the DirectAccess connection when they are remote. It is HTTP and does not require an SSL certificate. Well I am definitely confused! Thanks for that clarification, I was assuming that webprobehost is what clients used to determine if they were on the LAN already & thus didn’t need to connect via VPN. Would https://directaccess-corpconnectivity:62000 be the correct url to troubleshoot NLS connectivity? That is listed in DNS as 127.0.0.1 so I don’t see how it will work from any other location than the server itself. . .What would be the best way to troubleshoot this issue of not being able to retrieve the NLS server url in the Operations Status of Remote Access Management Console? What is the actual URL it is trying to use for that test? BTW, the server does respond to pings on the LAN. No. The NLS URL is most likely https::/directaccess-NLS.[FQDN]:62000. The directaccess-corpConnectivityHost is used for something entirely different. Well surprise update, somehow since yesterday the status of NLS has gone to green in the RAMC. The last thing I tried was enabling directory browsing for the /insideout virtual directoy, maybe that was the trick & it took a while to kick in?? I am still curious what the url is that it is looking for – if I browse to https://servername:62000/insideoutside using the same server name specified on the cert that is selected in the Remote Access infrastructure setup, I get a NET::ERR_CERT_COMMON_NAME_INVALID error. If I accept the risk & proceed anyway (this is using Chrome. . ) then I get the (empty) directory listing – but only since enabling directory browsing on it in IIS. I don’t know if that is what has allowed the status to go to green, or if it is because I have added the site to my security exceptions in Chrome, or something else. . .or, if it will actually work for the DA client. https://servername:62000 is incorrect. It should be https://DirectAccess-NLS.%5BFQDN%5D:62000. That should match the subject name on the self-signed certificate. Hmm, well the only DNS records added by the Remote Access Management Console (I did the basic configuration walk-through) are directaccess-webprobehost and two for directaccess-corpconnectivityhost – both A and AAAA. Maybe that’s the problem?. But, then I don’t know how the NLS test went green in the console. . . And of course, the cert selected in the Infrastructure config is not for any of those host names, just the regular server name. BTW Is there a comprehensive guide to all of these details anywhere? All I have been able to find are little bits & pieces, mostly pertaining to Server 2012. Even the documentation on Technet under Server 2016 still references 2012 for DA. Thanks again for your guidance! 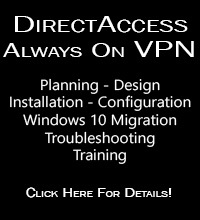 The directaccess-NLS record should be created automatically when you install DirectAccess (if you chose the option to host the NLS on the DirectAccess server) and it would resolve to the DirectAccess server’s internal network interface IP address. Not sure. Making changes to the /insideoutside virtual directory shouldn’t have been necessary, so I’m not certain why it wasn’t working, or why it suddenly started working now to be honest. Interesting, I poked around in the registry and under HKLM\System\CurrentControlSet\Services\RaMgmtSvc\Config\Paramteters the value for NlsUrl is in fact https://SERVERNAME/insideoutside with no port specified. There is also a NlsDasOnSameBox key, which is set to 1. Maybe that is new. SEC_ERROR_UNKNOWN_ISSUER. The cert that is configured in DA matches the servername, BUT I am not able to check the “Use a Self-Signed Certificate” box, it is grayed out. The Firefox warning indicates a problem with the certification path, so that may be part of the issue there. I have read that the latest version of Chrome requires a check on an IP address in the SubjectAlternativeName extension, which is causing a lot of problems for internal self-signed certs – so these may not be the best way to test this anyway. What would be the closest thing to how the DA service actually retrieves this url? AND, trying IE I get no SSL error but a 403.503 Forbidden error just using the plain url, and a if I append port 62000 I get Server Error in “/” Application. . . . A potentially dangerous Request.Path value was detected from the client (:). . . what a rabbit hole! Just for kicks, I went back and disabled Directory Browsing on /insideoutside in IIS, and sure enough the NLS test in the Remote Access Dashboard went right to red again. . . at this point my conclusion is that the SSL error is not a problem for DA, but not being able to browse the virtual directory is. So far it has pretty much just been an experiment – and yes, I agree it sounds like Always On VPN is a more reliable route (although unfortunately there doesn’t seem to be an easy implementation wizard for it. . . this is a single-server operation with about 25 users so they aren’t probably going to want to invest in Intune or MSCCM. . . ) My gut feeling is that maybe I used a newer/updated version of the configuration wizard and there are some kinks to it, and/or some conflicts in IIS with the RWW aspects of the WSE Role that is installed. But thanks for the tips & maybe you’ll hear from me on the VPN side! Is there any functional issue of the NLS endpoint is NOT ping-able by the DA server? Or is the only issue the cosmetic annoyance of seeing the NLS service as “failed” on the DA health dashboard? No functional issues at all if ICMP echo request isn’t allowed on the NLS. The only negative side effect is the reported health status in the Remote Access Management console.